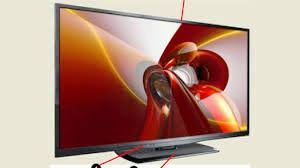 Best budget LED TV, InFocus launched budget LED TV'S of Rs 9,999 onwards in India. InFocus the United States based TV company said on Friday their company joined the home entertainment category with the introduction of budget LED TVs in India. The new series of InFocus LED TVs starts at Rs.9,999 for 24-inch HD LED TV and goes all the way to Rs.69,999 for 60-inch FullHD LED TV. The full range of LED TVs of InFocus (60 inch, 50 inch, 32 inch and 24-inch sizes) will be available exclusively on Snapdeal from February 29, the company said. The company has set up a free demonstration initiative at home, under which customers can experience the demonstration of LED TVs in the comfort of their home or office and then decide to buy. The new InFocus LED TVs use smart UV2A technology, which creates a low reflection and balanced brightness by absorbing the unwanted light. It is, therefore, to protect the eyes for long hours in front of TV. These TVs are also equipped with A+ grade direct LED backlight panels for deep and black with right fields level for contrast ratios. "We have finished one year in India and we are humiliated by the reaction of consumers and we now have more than about 10 lakh the family in India. As a thank you to our growing customer base, we are very pleased to announce our new range of LEDTV for Indian consumers and we have the best display panel in our LED TVs. The new InFocus LED TVs ensures that the viewing experience of costly LED TV sets in this category will remain same in our low budget LED TV sets and in our 60-inch Full HD TV comes with Japan Sharp LED panel, which is known to produce the best image quality and is more reliable. These add our trust to launch a television with the first of its kind of initiative. "free demo at home." I want customers to experience the unparalleled image quality and display experience even before they decide to buy, "Sachin Thapar, campaign manager, InFocus India said.